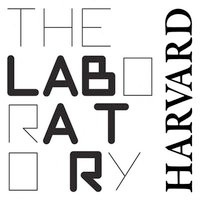 The Lab at Harvard is a new forum and platform for idea experimentation in the arts and sciences at Harvard University. A three-year experiment, The Lab works to break down boundaries between the arts and sciences to accelerate learning. We catalyze the development of Harvard student and faculty ideas through work-in-progress exhibits, monthly Idea Nights, and annual experiments between leading international artists and Harvard University scientists. The Lab is principally an exhibition and meeting space for student idea development within and between the arts and sciences, and serve as a forum for interfaculty and public creative expression and dialog. Students at Radcliffe College first took up residence on campus in 1901; apparently, the oldest parts of PfoHo date to that year. During the 1949-50 academic year, Moors opened and plans for Holmes were first drawn up. Construction of Comstock began seven years later. Male students were first assigned to the House around 1971, but the legacy of floor-length hall mirrors remained for them to enjoy.The Jordans, considered by some the "Quad of the Quad" opened for business as an experiment in cooperative living in 1961 after having been part of Radcliffe College's East House. The use of Jordan as a co-op persisted at least until 1997. Wolbach, formerly an apartment building, was purchased by Harvard in 1964. The townhouses of Faculty Row joined the House around 1971.The name "North House" first appeared in 1961 and consisted of Comstock, Moors, and Holmes. The name derived from its location within the quadrangle: the buildings now known as Cabot House were then called "South" and "East" Houses. North House's early House Masters included Giles Constable, Ned Keenan, and from 1975 to 1996, Woody and Hanna Hastings. It was under the Hastings's leadership that the transformation of the original cluster of Radcliffe dormitories to a unified house took place. The renovations they oversaw during the mid 1980s were key to their success in forging a strong house identity. For example, the Hastings rejected an early proposal that would have segmented the house into disconnected vertical "entryways" used in other Houses,ﾝ opting instead for a plan that connected the dormitories to one another more closely through the hallways. These renovations also included the construction of the Holmes junior common room, the PfoHo Grille, the Comstock Library, and the centralized balconied dining hall that now serves as the heart of House life. The unique duplex suites on the top floors of Moors, Comstock, and Holmes were also created during this renovation. In 1995, North House was renamed Pforzheimer House, acknowledging the life-long philanthropy of the late Carl Jr. and Carol Pforzheimer. They were strong supporters of both Harvard and Radcliffe, and are well known at Harvard and beyond for their support of libraries. Given the similarity between North House and Pforzheimer's initial syllables, it didn't take long to adjust to the new name: the old "NoHo" quickly became "PfoHo," and established a tradition of replacing letters f or ph with pf in house-related words; hence Pformal, PfoHo Pforums, Pfacebook, Pfreshman Welcome, etc. It remains a distinguishing mark of a former Pfohoser that he or she will sometimes write words beginning with "pf." For more than 30 years, Facing History has been helping teachers and students make the connection between history and their own lives. We offer content and teaching strategies that promote student engagement, critical thinking, and deeper understanding of the lessons of history. Through a rigorous investigation of the events that led to the Holocaust and other key moments in his­tory, students learn to combat prejudice with compassion, indifference with participation, and misinformation with knowledge.